As we continue to support the 'Get Connected, Stay Connected' campaign from BNI HQ, we will summarize the monthly topic here and included links to the previous month as well. 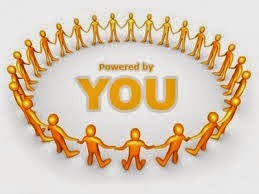 Last month's topic was "Promote A Fellow Member"
Below is the step-by-step process for you to complete for this month’s portion of the “Get Connected - Stay Connected!” campaign. Login to BNI Connect. If you have not yet registered for BNI Connect, go to BNI Connect and click on the “New to BNI Connect? Register Now” link and follow the directions provided. When you find the right person, select their name to view their profile and click “Add _______________ to My Connections”. Or, just click on the “+” symbol to send a connection request. When you’re done adding a new Connection, go back to the Home page on the My Network screen, click on “Manage” in the “Connections” box, scroll down to the bottom of the left hand box, and view any “Received Requests.” If you have any, be sure to accept them to Get Connected - Stay Connected with your fellow BNI Members worldwide! There is also a supporting BNI Podcast Episode 359 – Build Your Network and step by step guide for the process.